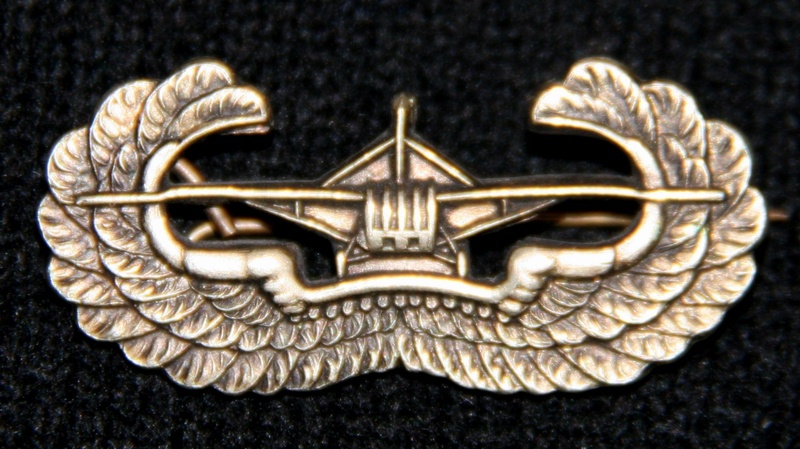 The Glider Badge is an oxidized silver badge 11/16 inch in height and 1 1/2 inches in width consisting of a glider, frontal view, superimposed upon a pair of stylized wings displayed and curving inward. The wings suggest flight and together with the glider symbolize individual skills and qualifications in aerial flight utilizing the glider. It was authorized by the War Department on June 2, 1944 (Circular No. 220). At the time authorization of the badge was announced, personnel must have been assigned or attached to a glider or airborne unit or to the Airborne Department of the Infantry School; satisfactorily completed a course of instruction, or participated in at least one combat glider landing into enemy-held territory. 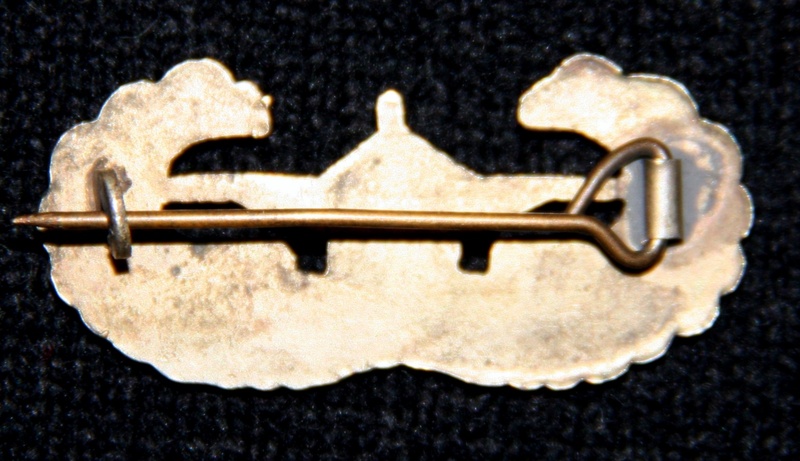 Example of Glider Badge belonging to Deane L ROBERTS - 717th Airborne Ordnance Company. The reverse is engraved "STERLING" (TFH collection). Example of British Made Glider Badge belonging to Gibson ACORD - 194th Glider Infantry Regiment (TFH collection).